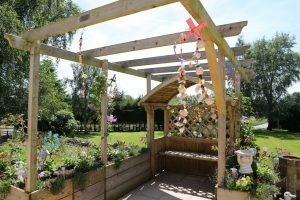 West Eaton welcomed residents, their families and friends to their annual BBQ on Saturday 16th June, when the new extension was officially OPENED. With all the garden landscaping now complete, it seemed fitting to have an official opening. What better time than at our Summer BBQ. 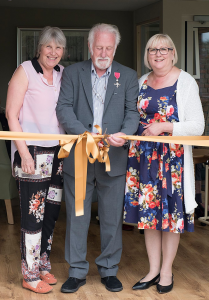 The ribbon was cut by Mr Mike Thornhill MBE at the ceremony. He was awarded his MBE this year in recognition of his community work, particularly for Leominster in Bloom. He is a Friend of West Eaton and a kind supporter for many years. The extension has greatly extended the ground floor. It gives an open seating area and more space for residents to enjoy. 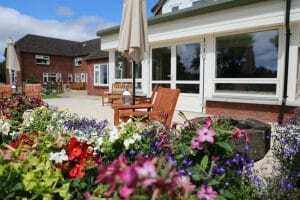 The large windows bring the outside in and patio doors open onto the landscaped gardens. 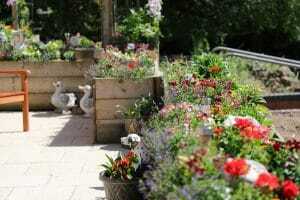 These are designed with residents in mind, to be wheel chair accessible, with raised troughs and sensory planting. 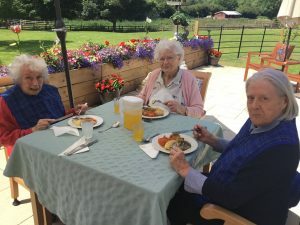 Each year we host a summer BBQ for our residents, their families and friends and the wider community. This year the beautiful weather of late held for us. 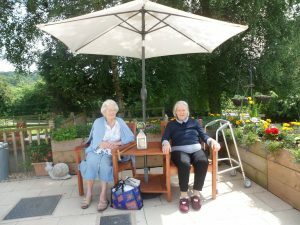 There was a BBQ, Mr Whippy ice cream van, a raffle donated by the Staff, Residents’ Family and Friends, cake stall and tombola. 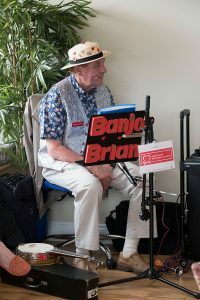 Banjo Brian and the children and adults of Ivington’s Honey Brook Singers provided entertainment for the afternoon. 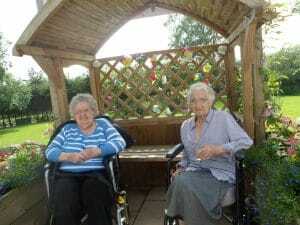 The event raised a record breaking £1,240.20 for the West Eaton Resident’s Fund. 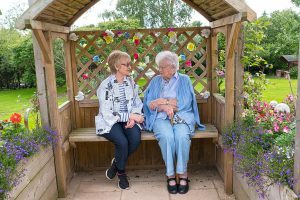 Sue Huxley, our home manager said “It was a fabulous event and we are so thankful for the ongoing support and generosity of our resident’s families, the Friends of West Eaton and the local community. Thank you also to my team who pulled out all the stops and went the extra mile, as always, to ensure our residents had a memorable day.